Danny "Kootch" Kortchmar (born April 6, 1946) is a guitarist, session musician, and songwriter. Sometimes credited as Danny Kootch or Dan Kootch or Dan Kortchmar or Kootch (following his teenage nickname), in the early sixties he met James Taylor on Martha’s Vineyard and they began to play folk gigs locally. With Kootch on guitar and James on harmonica, the vocal duo did pretty well, winning the occasional hootenanny contest. He then emerged as a member of several aspiring New York 60s groups, as the Kingbees and Flying Machine, the latter of which featured his fellow James Taylor. None were successful and the band (which included also Joel "Bishop" O'Brien on drums, John McDuffy on vocals/organ and Dickie Frank on bass) broke up in the fall of 1966, not before being lucky enough to back Peter and Gordon, the "Everly Brothers of the British Invasion." (Peter was Peter Asher). In 1967 Kortchmar and O'Brien started a new band, The Flying Machine, with Zachary Wisner on bass and Kortchmar's old friend, James Taylor on guitar and vocals. They were signed to Euphoria later that year and only released one radio single, "Night Owl" , peaking at #102 on the national charts. The label never released their album and the band soon broke up. Taylor decided then to move to London and Kortchmar gave him Peter Asher's number. Asher was now head of A&R at the Beatles label, Apple Records. He invited James to play his song and he liked them. Paul McCartney and John Lennon were among his first fans. After Taylor's solo success, Euphoria released the Flying Machine old demos in 1971, with the title "James Taylor and The Original Flying Machine". With the Flying Machine "in pieces on the ground" (immortalized in James Taylor’s song "Fire and Rain"), Danny spent six months as a sideman to the Fugs in the late ‘67, both on record and in concert. The Fugs were another New York band, started by Ed Sanders and Tuli Kupferbery in 1964. Kortchmar's salary was $100 a week and he played on their "Tenderness Junction" EP  and on their live album, "Live From the Player Theater" . After that, he was the last guitarist for the dimming Clear Light. It was Danny’s gig with Clear Light that got him out to L.A., though. In 1968 Kortchmar moved to California with another ex-member of the Fugs, Charles Larkey. They met Brill Building songwriter Carole King and they formed The City. With King on vocals and keyboards, Kortchmar on guitars, percussion and vocals and Larkey on bass, The City released one album on legendary Lou Adler’s label Ode Records, "Now That Everything Has Been Said" . The band never toured due to King’s stage fright. After The City disbanded, Adler encouraged King to go solo and Kootch and Larkey remained part of King’s studio back-up group during her highly-successful solo career. Thus Kortchmar started doing session work in L.A. He played on most of King’s records, starting with "Writer" and the amazing "Tapestry," as well most of Taylor's albums, from "Sweet Baby James" on. He toured extensively with both and soon became one of LA's more well known and paid session players. In the meanwhile he reunited with O'Brien and Larkey forming the psychedelic band Jo Mama, along with Ralph Schuckett (keyboards) and Abigail Haness (vocals). They released two records on Atlantic, "Jo Mama"  and "J Is For Jump"  and they were Taylor’s backup band. After their break-up, Danny had settled into the security of an in-demand L.A. session men and with Lee Sklar (bass), Craig Doerge (keyboards) and Russ Kunkel (drums) formed a backup band to accompany James on his first National tour. Danny accepted and that band decided to stay together afterwards, too, calling themselves the Section, putting out three more records, "The Section"  and "Forward Motion"  on Warner Brothers and finally "Fork It Over"  on Capitol. In 1973 Kortchmar made one of his most important step away from session work, releasing his first solo record, the amazing "Kootch". He then formed the Attitudes, a "space funk" quartet with other four well known L.A. session players: Paul Stallworth on bass, Jim Keltner on drums and David Foster on keyboards. (Foster is today a well know multi-platinum producer-composer). They signed for George Harrison's label, Dark Horse Records, and put out two records "Attitudes"  and "Good News" . Their single "Sweet Summer Music" peaked at #94 in the charts in '76. But for the greatest part of the Seventies, he remained a member of the west coast session family, playing on many major albums in the '70s, including those of Crosby & Nash, James Taylor, Jackson Browne, Linda Ronstadt, Carole King. In 1980 he completed his last solo album, "Innuendo" on Asylum Records. His gradual transition from session player to producer started with Louise Goffin, Carole King's daughter, in 1979. In 1981 he joined Don Henley’s band releasing one of the most famous and prolific collaboration. He was the co-writer and co-producer of most of Don Henley’s solo projects "I Can’t Stand Still" , "Building The Perfect Beast"  and "The End Of Innocence" . Since then he has been keeping on producing other records (Neil Young, Jon Bon Jovi, Billy Joel to name a few) as well as continuing his session work (Linda Ronstadt, Bob Dylan, Jackson Browne). With his friend Jackson Browne, he co-wrote some songs, most notably the "Fast Times at Ridgemont High" soundtrack hit, "Somebody’s Baby"  and "Shaky Town" , "Tender Is The Night" , "Knock On Any Door"  and did a memorable European Summer Tour in 1982. In the ’90, he produced a whole generation of new musicians, as Venice, Freddy Johnston, Spin Doctors, Dada. He's also formed another band, Slo Leak, with Charlie Karp (vocals and guitar) and Harvey Brooks (bass), recording and producing two blues records "Slo Leak"  on Pure and "When The Clock Strikes Twelve"  on TVT. In the early part of the new millenium he appeared playing in the house band in the concert film "Lightning in a Bottle" with many great blues stars. In 2004, Danny started to play with his new group, the Midnight Eleven, formed with guitarist Zonder Kennedy, drummer Joe Bonadio, and vocalist/harmonica player Mark Grandfield. Since then, Danny has produced a track for James Taylor's greatest hits album. With Charlie Karp, he created another Slo Leak album (New Century Bluesm 2008), made with loops, samples and blues playing and singing. He collaborated with great friends Steve Jordan and Megan Voss, known as The Verbs, on their 2 albums and toured Japan with that band featuring Pino Palladino and Tamio Okuda. Later that year Danny produced an album for Ian Moss of Australia, "Soul on W.53rd St." Danny got to play on an album for the great Solomon Burke, produced by pal Steve Jordan. 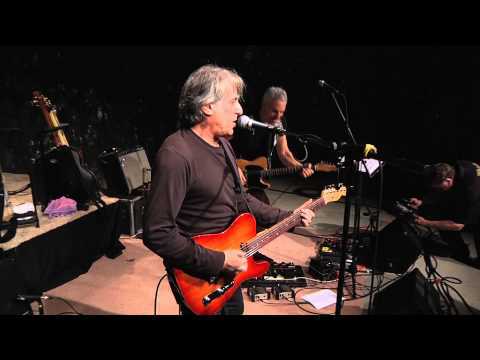 In the spring of 2010, Danny toured with his old and dear friends James Taylor and Carole King, with the original band: Danny, Russ Kunkel and Lee Sklar. He is recording his version of many of his songs recorded by JT, Don Henley, Fabulous Thunderbirds and Jackson Browne, as well as newer originals. And there's more to come!